I first tried throwing from the side after getting the yips in college. I completely lost myself from a mental standpoint of pitching and I was ready to try anything. I tried tried it and found that I had better control and was able to gain confidence back to the point where I was able to go back over the top. I finished college over the top and got to pro ball and the yips came back and I suggested to my pitching coordinator that I go back to the side. He agreed and I did. It took some time and work to get completely comfortable from the side but once I was, I found it to be an invaluable tool. I instantly found success against left handed hitters from the side. The extra movement and angle from release point made it much more difficult for left handed hitters to dig in and be comfortable. I can one hundred percent say that if it weren't for dropping down my career might have ended 4 years earlier than it did. Throwing from the side didn't just give me extra tools and a different look to throw at hitter, it helped me gain confidence back overall to be able to get back in the strike zone. Throwing side arm is an incredibly useful and effective tool that can give you an edge because it is such a unique skill when done well. If someone is considering dropping down my advice would be to be prepared to be dedicated and work endlessly. Success from the side does not come easily. Everyone will have their own style from the side but I feel there are certain thing every sidearm pitcher must do right in order to be successful. To me the most important aspects are direction and body control. Throwing from the side makes keeping the direction of your momentum towards your target much more difficult and if you aren't in control of your body then it will be nearly impossible. You must be able to control your body which will help repeat your direction and as a result your entire delivery. As a left handed I liked to get as far on the first base side of the rubber and utilize the angle to the plate from my release point to keep left handed hitters of balance. 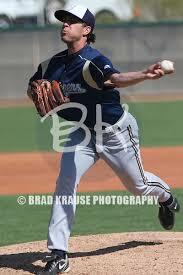 I mostly threw inside to lefties then used my slider to the outside as my out pitch. Throwing to righties is more difficult because if you can't control the inside of the plate they cannot cheat on the outside pitch and take it the other way. Keeping righties honest with an inside fastball make the outside fastball much more effective. I also enjoyed back door sliders in fastball counts. Right handers would give up early most times assuming it was an outside fastball that would tail off the plate. My favorite part of throwing from the side was probably the swings I would get from misreading pitches whether it was a slighter that started in the inside that they thought was a fastball so they would bail or a slider on the outside that they thought was a fastball and would sometimes fall over chasing. In addition, it was so much easier on my arm and I loved not being sore the next day.